Gingerbread cookies are the epitome of the holiday season. Their smiles, white frosting trimming, and overall jolliness are what Christmas-time is all about. 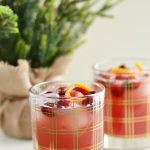 This year, I wanted to kick it up a notch and do something a little different. I have always been a fan of gingerbread cake. There’s something about the mix of spices and molasses that gives it a unique flavor profile. This is why I decided to make a batch of Gingerbread Cake Pops. 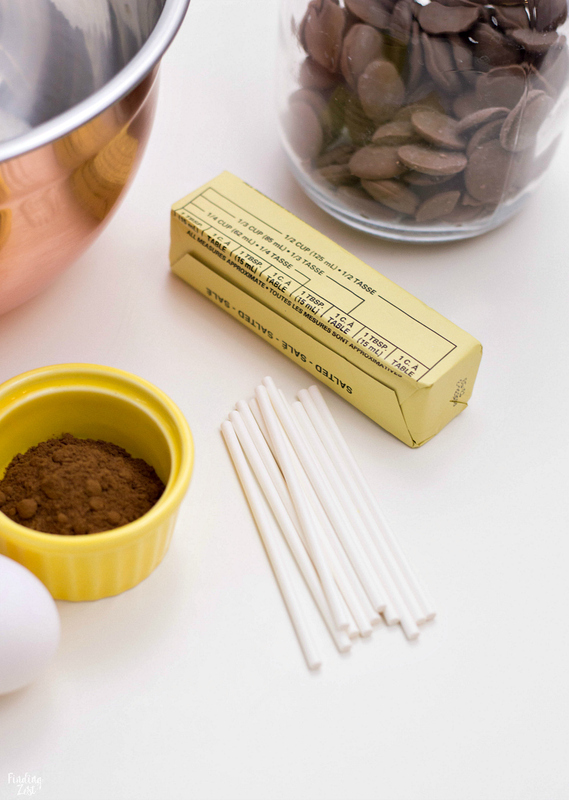 Making gingerbread cake pops doesn’t have to be intimidating but what you will need some basic supplies. 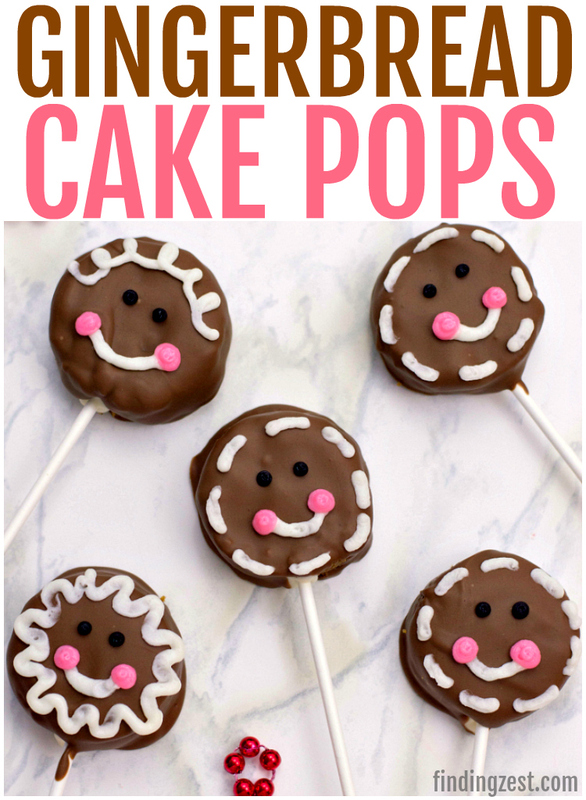 To make the cake pops, you’ll need lollipop sticks and milk chocolate chips or brown candy melts. To make the cute gingerbread faces you can follow my instructions for making a homemade buttercream and use a piping bag with a Wilton #5 round tip and black decorating icing and pink decorating icing. Alternatively you could color your buttercream with dye but using pre-made frosting is easier to achieve black. The cake uses a 9 inch round cake pan. I always like to grease my pans with butter and then dust it with some flour for the easy removal. This recipe calls for sifting the dry ingredients. Sifting dry ingredients can mix your dry ingredients better and makes your flour lighter. Gingerbread Kitchen Tip: If you are short on time you can whisk your dry ingredients instead to better combine them before adding them to your creamed butter and sugar. Once you’ve had a chance to bake and cool your gingerbread cake, you’ll want to crumble the cake into a large bowl and mix it with 1/3 of your prepared buttercream icing. Next you’ll want to shape your crumbled cake into thick, flat circles. I used a cookie cutter, about 1.5 inches in diameter, to give mine a good, uniform shape. Place each one on a lined baking sheet. Melt your white candy melts in the microwave in 30-second intervals. Dip each lollipop stick into the melted candy and then insert into each cake. I used white candy melts for this but you can easily use extra brown candy melts or melted chocolate chips. 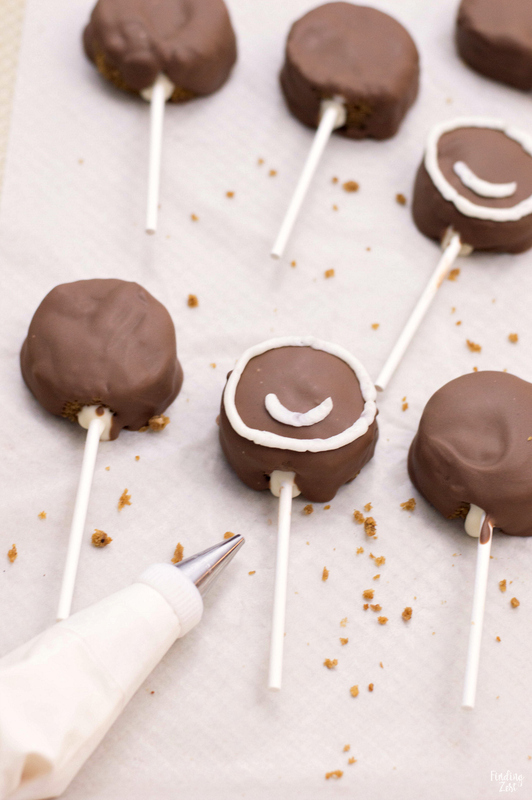 You’ll want to refrigerate for at least one hour so your cake pops can hold up while being dipped. Once they’ve been dipped you’ll want to refridgerate for another 30 minutes to set them before being decorated. 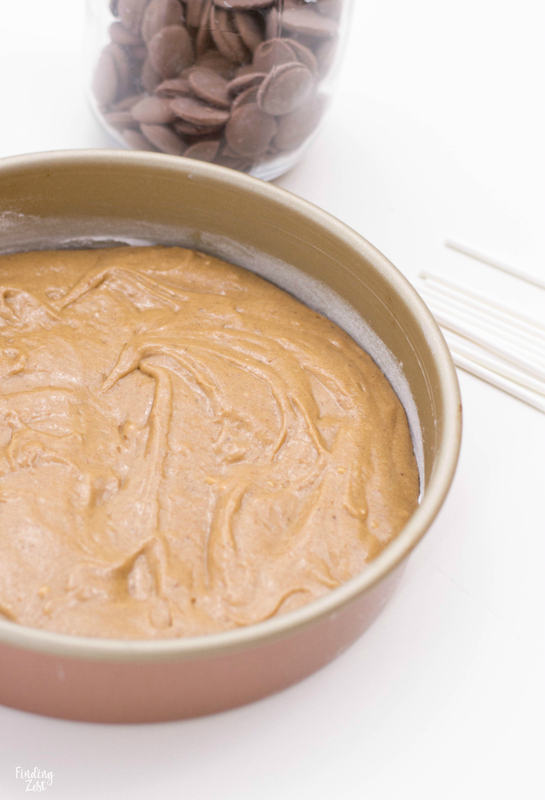 Gingerbread Cake Pop Tip: For a smoother finish, add a teaspoon or two of vegetable or canola oil into your melted chocolate. Remove the cake pops from the refrigerator and use your buttercream in a decorating bag with a Wilton #5 tip to give each one a smile and some proper gingerbread trimming. Have fun with creating different gingerbread man faces! 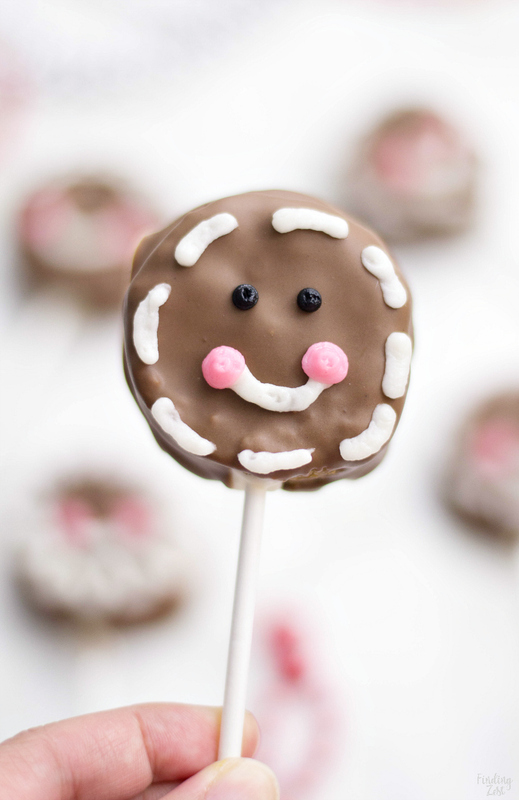 Use your black decorating frosting for the gingerbread’s eyes and pink decorating frosting for its rosy cheeks. 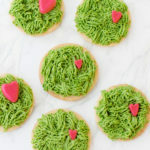 I was so happy to make these cute treats. At first, I was a little intimidated, because in the past, cake pops have been a hit or miss for me. These, however, turned out so adorable! 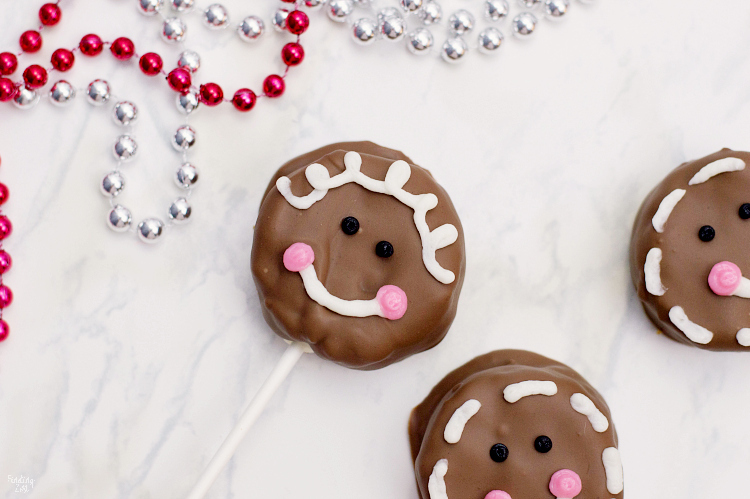 These gingerbread cake pops are sure to bring smiles this holiday season! 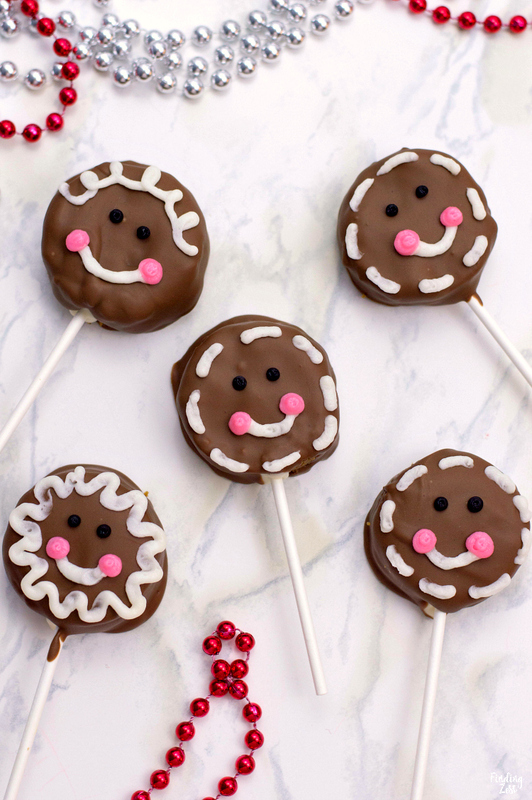 Made from homemade gingerbread cake, these cake pops feature a sweet gingerbread man face that is as fun as it is delicious! 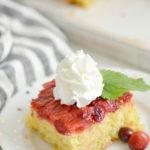 This recipe makes a great Christmas dessert for all ages. 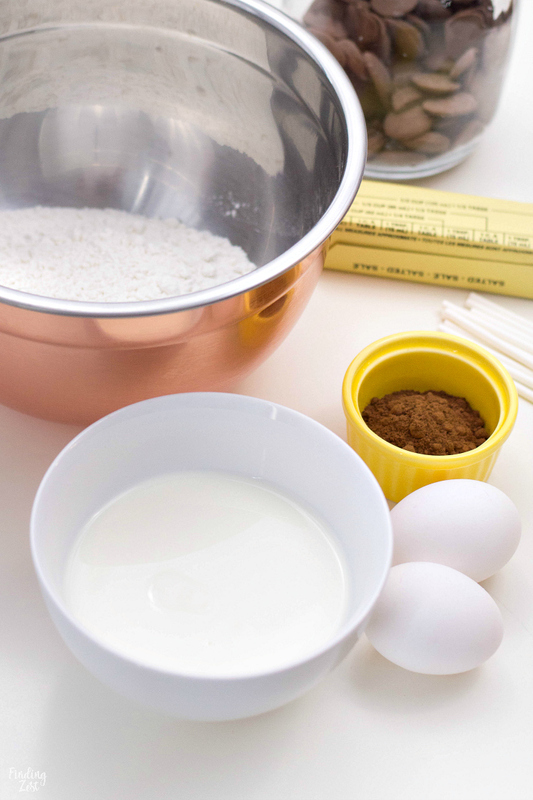 Begin by coating a 9-inch circular pan with butter and then dusting it with flour. Preheat your oven to 350 degrees F.
Using an electric mixer, beat butter and sugar until creamy. Add eggs and continue beating. Add molasses and mix until all ingredients are thoroughly combined. In a medium-sized bowl, sift together flour, baking powder, baking soda, salt, ginger, cinnamon and nutmeg. You will now have to alternate adding your dry ingredients and buttermilk into the wet ingredients. Add each one in thirds. Crumble the cake into a large bowl and set aside. Line a baking sheet with wax paper. Take 1/3 of your buttercream and mix it into your crumbled cake. Shape your crumbled cake into thick, flat circles. I used a cookie cutter, about 1.5 inches in diameter, to give mine a good, uniform shape. Place each one on your lined baking sheet. Melt your white candy melts in the microwave in 30-second intervals. Dip each lollipop stick into the melted candy and then insert into each cake. Refrigerate for at least one hour. Melt brown candy melts in microwave in 30-second intervals. 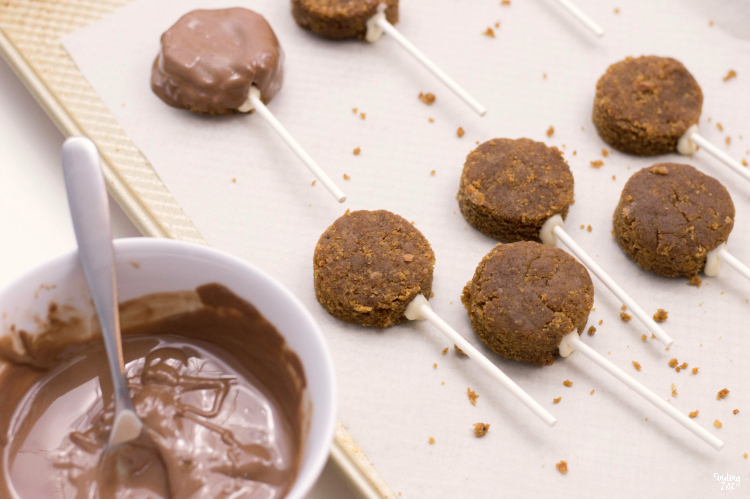 Dip each cake pop into the melted candy and place back onto lined baking sheet. Refrigerate for another 30 minutes. Remove the cake pops from the refrigerator and use your buttercream to give each one a smile and some proper gingerbread trimming using a decorating bag and a Wilton #5 tip (or other smaller round tip). Use your black decorating frosting for the gingerbread’s eyes and pink decorating frosting for its rosy cheeks. Serve, happy holidays and enjoy! Yields 15 to 20 cake pops. I can’t wait to serve these gingerbread cake pops on this year’s Christmas dessert table. 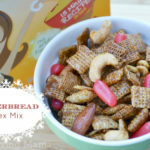 They would also make great gifts if you add small treat bags to your gingerbread men! 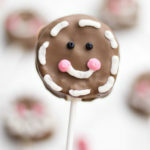 Thanks again to Lisa from Fabulous Habits for these adorable cake pops and this guest post. 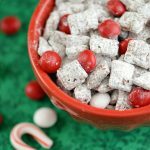 Check out her latest post, holly crinkle cookies for another great Christmas treat. 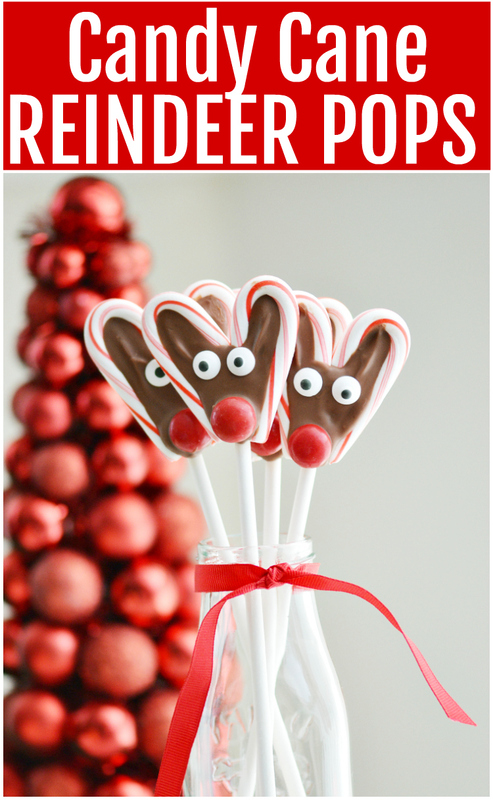 If you like to make fun things on a stick for the holidays, be sure to check out my candy cane reindeer. They are super fun to make! 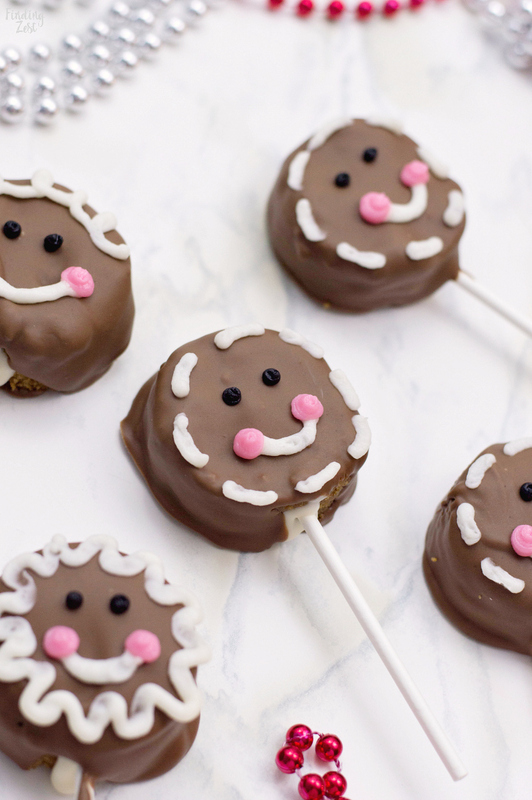 These little gingerbread pops are stinking adorable!